Description: Lexmark has a worldwide agreement to resell Plus Technologies solutions to complement their product and services offers. Lexmark and Plus Technologies have implemented many large projects together. Description: Dell utilizes Plus Technologies OM Plus to provide print help desk and print queue management services as an additional value add to their Managed Print Services solution offering. Description: FIS/Metavante uses Plus Technologies OM Plus print spooling solution to complement it Banking Solutions Application Software. FIS/Metavante has been delivering software to the banking industry in 1968, and today serves more than 1,000 banks of all sizes worldwide. Description: Printech uses OM Plus print spooling software to complement its CheckPlus software, a MICR laser check printing solution. Printech may sell into USA, Canada, and the Caribbean. Description: Perceptive Software, a business unit of Lexmark International, builds process and content management software that closes the information gaps that exist throughout every organization. Furthermore, this partnership allows Perceptive to market and sell Plus Technologies output management software into their markets. Specifically, of special interest are the Plus Technologies healthcare solutions including queue/print spooling, Tamper resistant Rx printing, mobile printing, cloud based printing for clinics/labs/doctor offices, print statistics, printer fleet management tools, and VDI print solution. In addition, the OM Plus print spooling software can be integrated into the Perceptive suite to provide a document ‘on-ramp”. Description: Coretek uses OM Plus to enhance the Enterprise Output Management capabilities of their IT Services business with an emphasis on the health care market. Description: Bottomline licenses OM Plus (link to omp page) print spooling software and rebrands it to complement their electronic forms products such as Formscape, Createform, and eCommIntegrate (formerly Optio). Description: More than 1500 customers use PrinterLogic’s Enterprise Print Management solution to reduce or eliminate Windows Print Servers and empower end users to install their own printers. Description: Pharos and Plus Technologies have tested an integrated print solution so that OM Plus can feed print jobs from back end systems, EMR’s and ERP’s into Blueprint. Pharos Systems International sells to a wide range of markets in the U.S. and international and sells print software and services to help customers analyze output costs and optimize print environments. Key product is called Blueprint Enterprise. Description: Atlas Teknology Group, Inc. is an Office and Information Technology solutions and services provider, serving businesses and public sector in California. Our mission is to build a valuable partnership with our clients by connecting their businesses with the right technology solutions and services to improve efficiency, productivity, and profitability. 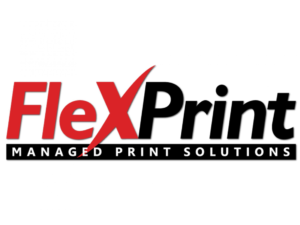 Description: FlexPrint is a U.S. based Managed Print Services provider that has sold OM PLus Delivery Manager software.